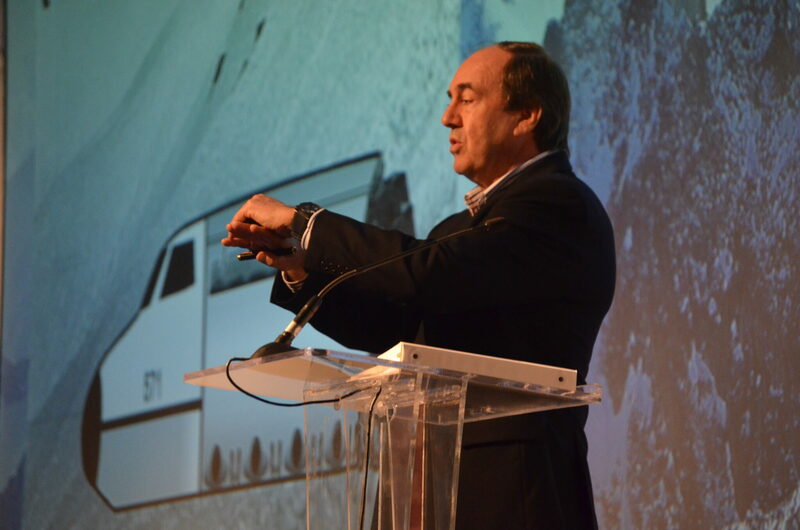 Nando Parrado is one of the few survivors of the dramatic aeroplane crash. We share with you an extract of this article published in ‘News.com.au’. “Surviving a deadly plane crash would be considered by many to be a miracle. But for the survivors of flight 571, the catastrophic crash was merely the beginning of another horror story — one that just 16 of them would make it out of alive, but only after they made an unthinkable pact. Members of a college rugby team and their relatives on Uruguayan Air Force flight 571 were travelling from Uruguay’s capital Montevideo to Santiago, Chile, for a rugby game. Along with the 40 on board there were five crew on the chartered flight on October 13, 1972 — Friday the 13th. The plane, a twin-engine turboprop, was only four years old. Human error caused the plane to crash into the Andes mountain range in Argentina, just shy of the border with Chile. As heavy clouds obscured the peaks of the Andes as the plane flew overhead, the inexperienced pilot-in-command thought the plane was approaching the Chilean city of Curicó, when it was really up to 70km away. So as the plane descended, it flew dangerously close to a mountain. Once the flight deck realised there was a ridge directly ahead, it was too late. Pieces of the plane fell away as it hit the mountain several times on its way down. At one point, the tail cone of the plane came off, along with the back of the fuselage, which left a gaping hole five passengers and two crew got sucked out of. The plane eventually struck the top of a slope and slid, nose-down, at breakneck speed — about 350km/h — before crashing into a large snow bank, killing the pilots. Amid the wreckage of the mangled plane, on a mountain glacier about 80km east of the planned flight route, 33 passengers were still somehow alive. Five people didn’t survive the first night of below-freezing conditions on the mountain in the remote Andes. A sixth person died within days. Those who were still alive, and not critically injured or in a coma, used parts from the plane — seats, luggage, and other debris — to create shelter. Seat cushions were used as snow shoes. One passenger used a sun visor from the pilot’s cabin, wire and a bra to make goggles to prevent snow blindness. He also figured out a way to melt snow for drinking water. They tried to write the letters “SOS” in lipstick on the roof of the crashed fuselage but didn’t have enough lipstick to make the letters large enough. The survivors had no medical supplies or appropriate clothing and were stranded on the mountain as temperatures plunged to -30C. The little food they had was fast running out. Rescue crews from Chile, Argentina and Uruguay struggled to find the wreckage in the vast mountain range. In a cruel twist, the survivors had found a transistor radio in the wreckage and were using it to listen to updates on the search effort. On day 11, they heard the announcement on the radio the search for them had been called off.